Pulitzer Prize-winning journalist and Iowa Cubs owner and president Michael Gartner in his office at Principal Park in Des Moines on July 13, 2016. 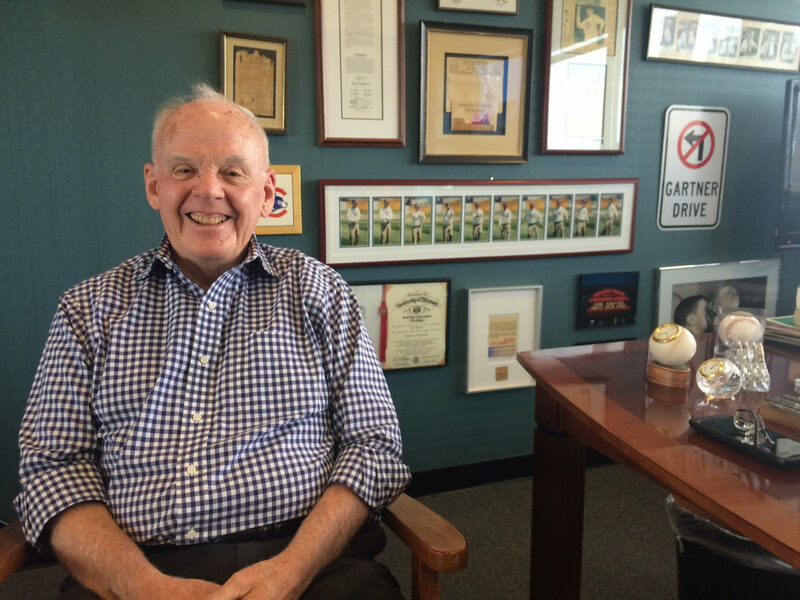 IowaWatch Executive Director-Editor Lyle Muller sat down with Iowa Cubs owner and president Michael Gartner in his office at Principal Park in Des Moines on July 13, 2016. Gartner received the Pulitzer Prize for editorial writing in 1997 while he was co-owner and editor of the Ames Daily Tribune. The interview is part of an IowaWatch Connection series on Pulitzer Prize-winning Iowa journalism in partnership with Humanities Iowa. The IowaWatch Connection series is part of the Pulitzer Prizes Centennial Campfires Initiative, a joint venture of the Pulitzer Prizes Board and the Federation of State Humanities Council and Humanities Iowa, a state affiliate of the National Endowment for the Humanities in celebration of the 2016 centennial of the Prizes. The Iowa Center for Public Affairs Journalism—IowaWatch was awarded a $4,500 Humanities Iowa contract as a partner in the Pulitzer project. IowaWatch selected the topics for the IowaWatch Connection programs and how to report them. Other Iowa media outlets involved in the project are Iowa Public Television and Iowa Public Radio. Michael Gartner received the Pulitzer Prize in editorial writing in 1997 for editorials published in The Daily Tribune in Ames. He was co-owner and editor of the newspaper at the time. The Pulitzer board praised his “common sense editorials” for covering “issues deeply affecting the lives of people in his community,” including local issues ranging from ordinances controlling where signs could be placed to a proposed lap dancing law.